Reflective practice is now seen as a major component of teacher education and professional development programs worldwide. This book is one of the first to show how this technique can be embraced by language teachers. It makes sense that for those whose job it is to teach writing, a good way to be reflective is by writing regularly about their work. Reflective Writing for Language Teachers shows language teachers how they can use writing as a way to subject their beliefs and practices to critical reflection and offers them a means of using this type of reflective practice for professional development purposes. When language teachers write about various facets of their work over a period of time, and then read over their entries looking for patterns, that is, seeing their own thoughts, they may uncover aspects of their practice that they had not realized before beginning to write reflectively. Reflective writing develops language teachers’ understanding of their practice and also leads to a clarification of the values and assumptions that underlie those practices. Reflective Writing for Language Teachers explores the impact of regular writing as a reflective tool for teachers of English as a second language, other language teachers, and classroom English or language arts teachers. The book begins with a discussion on professional development and then outlines what reflective practice involves. It also addresses such issues as self-reflection, self-discovery through narrative reflective writing, the reflective journal, reflecting on the first and the later years of teaching, reflecting with the aid of teacher development groups, and reflecting for action. The author presents ideas and modes of reflection that teachers can choose from to reflect at any time of their teaching day, or on other days when they are not teaching. 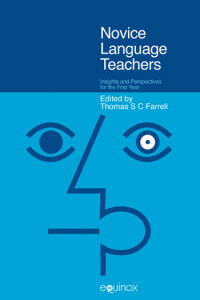 Although writing is at the forefront of the reflective practice mode in the book, the author acknowledges that other modes of reflection are also important (such as talking to and with other teachers). This chapter,“Reflective Practice,” outlines and discusses reflective practice for language teachers and makes the case for language teachers to engage in reflective practice activities throughout their careers. The chapter defines reflective practice, overviews the different forms of refl ective practice, and details various reflective practice activities that teachers can consider. These activities involve action research, teaching journals, concept mapping, teacher development groups, classroom observations, teacher metaphors, teacher maxims, teacher beliefs, and critical friendships. This chapter,“Writing as Refl ective Practice,” outlines and discusses the different ways teachers can use writing as they reflect on their practice. The chapter distinguishes between writing as product and writing as process, and it explores how teachers can learn to write and also to revise their writing. This chapter, “The Refl ective Writing Journal,” shows teachers how to focus their writing in journal formats as they reflect on their practice. The chapter outlines and discusses how teachers can use teaching journals to reflect and also outlines a case study of how one group of teachers used teaching journals to aid their reflections. This chapter, “Narrative Refl ective Writing,” reminds teachers that they all have a story to tell about their work. The chapter explains what narrative writing is for language teachers and then shows how teachers can write their own narrative about their practice. The chapter also outlines and discusses how teachers can write and analyze critical incidents and case studies based on their own practice. This chaoter,“Refl ecting in the First Year(s) and Beyond,” outlines and discusses how language teachers can begin reflections from their early days as novice teachers right into their years as experienced teachers. 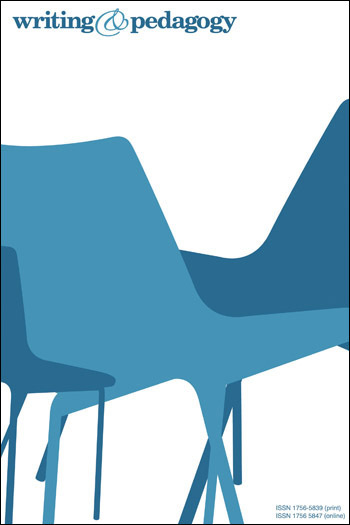 The chapter outlines the reflective process from student to teacher and then to experienced teacher. There is a special focus for novice teachers on reflecting in the early years because this is where the seeds of reflective practice are planted so that they can blossom in the later years. This, “Refl ecting for Action,” outlines and discusses how language teachers can engage in reflective research throughout their careers. The chapter points out various ways teachers can engage in research as well as outlining one example from TESOL’s Language Teacher Research series. The Last Word on Reflection? This section is used by the author to conclude his indeas on the subject of reflective thinking in teaching. The book is well written and proceeds in a step-by-step fashion that is particularly useful for newly graduated school teachers about to step into their own classroom for the first time. 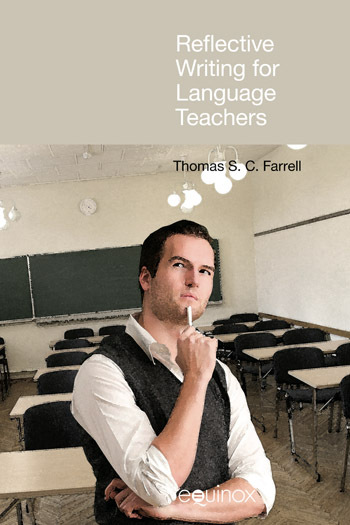 Farrell, a former teacher of English as a second language (ESL), is now a widely read author and a respected teacher educator and professor of applied linguistics. He grounds this study in his experience in the classroom as well as on research in his areas of professional expertise. Because his first career was in ESL, many examples are drawn from that field, but the issues and solutions he presents will resonate with teachers of other languages as well. Novice, mid-career, and longtime language teachers may find in this book ways to make their teaching more rewarding. By helping us to reflect on what we think we do, what we do, and what we think about what we do, this book can inspire and guide us to find within ourselves the tools to improve our teaching. Makes an important contribution to research regarding language teachers’ reflective practice, all the while avoiding the typically rigid prose found in many academic books. I would highly recommend Farrell’s Reflective Writing for Language Teachers, for it offers a refreshing perspective about how writing can be used for reflective purposes. ..He also infuses his book with interesting and humorous narratives. Those looking for a detailed consideration of how to harness the unique nature of the writing process to develop systematic habits for reflecting on their teaching will be highly engaged and actively involved throughout. The book is highly sympathetic to the teacher’s perspective and advocates for a bottom-up approach that engages teachers to define their own identities, practices, gaps, challenges, and professional development needs. This book practices its own message of self-reflection and challenges readers to become personally invested in their own practice.